I made this quilt last year and then excitedly sent it off to Australian Homespun magazine where it appeared in their February edition, along with a feature profile of me. Now that a few months have passed I'm pleased to release the pattern to you. The magazine changed the name of the quilt to "Blowing in the Wind", but I've decided to revert to it's original name of "Baby Mobile" - just because it describes it so well. The amazing fabrics from Australian designers Saffron Craig and Sprout Design really make this quilt. It was my husband's idea to put all the red owls at the bottom of the drops, and I think it looks great that way. I hand quilted it while camping, and it came together surprisingly quickly. The magazine asked for a girly version (which was less fussy cut), and it was great to have a good excuse to squeeze in some more quilt making! I free motion quilted the background and added a little hand quilting to the borders. This isn't the best photo but you get the idea. Pink and grey go so well don't you think. I have some left over scraps to give away, enough to kick-start your own Baby Mobile quilt - some of them are very hard to find! Just leave a comment telling what fabric you think would look good in a Baby Mobile quilt. The winner will be chosen on the weekend (when I have a moment) and they can decide on the boy or girl scrap pack as well as recieving the pattern ofcourse. You can get your own Baby Mobile pattern from my downloadable patterns page - 20% off while the giveaway's running. I've also shipped the paper patterns off to a couple of shops, so if you own a shop and are interested in carrying my patterns, I'd love to hear from you. I think that some of Laurie Wisbrun's fabrics would look awesome in this quilt. I really love both versions that you made though. Hi Kate the name you gave the quilt suits it really well. I have to say I love the pink and gray version you have done and I think I would have to do it in the same colorway. My grandbaby would just love it. Thanks for the wonderful give a way. What a sweet pattern! I have some Japanese prints that would be really fun in this design. Love your hand quilting too! Gorgeous fabrics. I haven't seen any of these before. The pattern is sweet and I'm pinning it to my "quilt it" board. I think the Heather Ross fabrics I've been hoarding would feature nicely with this pattern. And I think it's a pattern that also fits within my skill level, which is pretty much "beginner". This is fantastic Kate. Another great pattern you are so wonderful. I just love your designs! 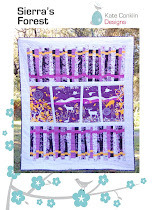 I love this design and your name for the quilt. I would have picked Saffron Craig as the fabrics I would use, sorry for not being original but I really would. Someone keeps telling me to make a quilt .. maybe this is it? hehe .. I'd definately re-produce that boy quilt. Bring on the owls!! And .. I'm a huge fan of Sarah Jane and her illustrations/fabrics. This would look so cute with the Animal Party Too panel from Amy Schimler. THANKS for the chance at winning those beautiful prints, I'd love to make this pattern! Both of these quilts are so pretty -- and it is fun to see how completely different they are from each other! 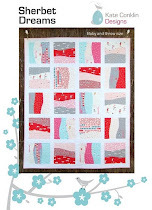 I love Sherbet Pips fabric, and also her newer line, Little Apples! Hoot Hoot you gotta love those fabbies with the owls...love the fabric, design and the name of the quilt. Great new pattern and I love the prints in the 'boy' version. The Dan Stiles Marine line would be cute in this design. Thanks for the giveaway opportunity! The fabric is so beautiful and the for me the red owl is my favorite, but I am a very 'red' girl. Love your pattern. I would LOVE to win the scraps. A great design - I love both of your versions! Oh this is absolutely brilliant! I think it would look brilliant in Saffron's magenta and green bird tree range (with purple borders and maybe black for the edge border and lines connecting the boxes....) but yours are both gorgeous! 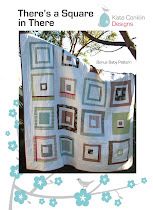 I think Saffron Craig's Pink Dandelions would look great in a girl version of the Baby Mobile quilt. Fabulous giveaway! Thanks for the chance to win. I just love the colour combo of the first quilt. The blues, chocolates and the red are divine! I've got some sherbet pips that would look good with this pattern I think. Of course I love Saffron Craig and both your quilts look beautiful. 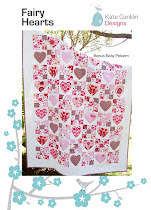 A great baby girl quilt could be made with Aneela Hooey's Little Apples collection. I've had my eye on that one. Without reading anyone else's comment, I was going to say Sherbet Pips. I have a stash put away which will be perfect for this pattern! There are some wonderful Jennifer Paganelli prints that would look fab too! I can't go past Heather Ross (I'm such a fangirl! ), though generally I like anything with animals for a baby's quilt. Next project in my queue is using the foxes from the Anika/Marin organic collection. What a great pattern! I think the owls and other woodland creatures is perfect! (I admit, I'm a sucker for owls, my mom always had a collection.) Thanks for the giveaway! Oh I have a new niece and nephew to sew for so this would be ideal. I have some Alphabet Soup in my stash and that would be great for this quilt. thanks for the giveaway. I think the Moda Hullabaloo fabric would look great in this pattern. 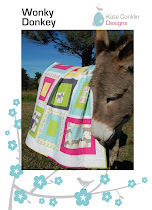 I think this quilt would look sweet with Amelia! I love your designs Kate!! !This is fantastic and grate!!! Another beautiful pattern!!! You are so wonderful. I'm currently crushing on Critter Community by Suzy Ultman for Robert Kaufman - it would make a very bold quilt in this design, which I absolutely love (as I love all your designs!!) Thanks for the re-introduction, and I'm glad you changed the name back - I like it better!! Loving this quilt and the name you gave it is perfect ~ one can see that it would be a great mobile. I'm not sure what fabric I'd chose for this quilt ~ not loving anything particular at the moment. I do like lime green and gray together however. Thanks so much for the giveaway and really looking forward to the release of this pattern! Hoo's in the Forest would be cute! Those little red owls are the cutest, but the squirrels are also really cute. Owls, squirrels, toooo hard to choose. This is a great pattern for anything fussycut. Or you could do an Eye Spy. I think it'd look great with some Echino - Echino is so precious it'd be nice to highlight the fabrics with this pattern! i think anything from echino, laurie wisburn, max and whiskers, aneela hoeey and the urban zoology collection would be great!! 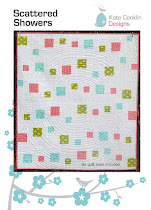 i think that any of Ann Kelle's collections would look adorable with this quilt pattern. thanks for the giveaway! I think I might would cut into my Far Far Away stash for this quilt! Sherbet Pips would be cute, too. My vote is for Sherbert Pips or Appleville. This is a really great pattern!! I would use my Prince Charming. Can't you just see the little frogs fussy cut in those blocks?? Awesome design! I think the Far Far Away fabrics would be cute as a mobile. Thanks for the great giveaway. this would be lovely with the Sarah Jane, Children at play, in either the boys or girls set. I love the name too, yours works much better than the one the magazine used. circa 52 by monaluna for birch fabrics would be fun! This is such a sweet design! I just came across it on flickr and headed this way. I think either an Echino or It's a Hoot! version would be lovely. I agree with your husband on the red pieces at the bottom. Great choice! I love your quilt! It's beautiful! 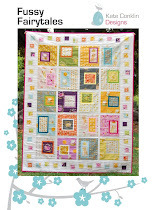 I think Sherbet Pips or Little Apples by Aneela Hoey would be fantastic for a mobile quilt. I'm thinking some Hello Kitty from Kokka would be great for a girl. I think that Prince Charming by Tula Pink would look great with this pattern, especially with fussy cut frogs! Thanks for the giveaway. At World of Charity Stitching we would put some cute cross stitch pieces in some of the squares! Lovely quilt! I think Sandi Henderson's new range would be great fussy cut for the center squares. How sweet! I think the line of Carina Gardner - Baby Safari would be very cute in this pattern! 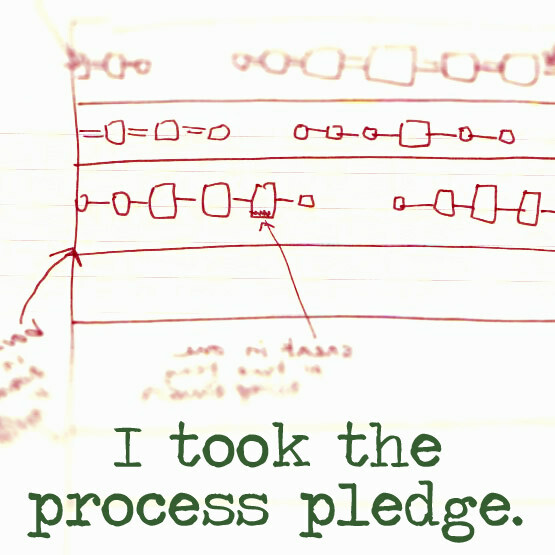 I've made something similar in midwest modern by amy butler which was amazing. love love love. I Love your choices of course and also Saffron Craig's fabrics, but if I had to choose something different - I think It's a Hoot would lend itself well to a baby mobile quilt!! Great quilt and I love that squirrel fabric! i have a stack of black/white prints that would be perfect...or maybe that stack of Sherbet Pips could be used? I love this quilt. I think the quilt works equally well for fussy cut fabrics as well as fabrics that are just great overall. Thanks for the giveaway. I love these quilts! I think they'd look cute in a ton of different fabrics, but if i have to pick one, I'll go with Riley Blake's Hoo's in the Forest. I think Happy Mochi yum yum would suit this pattern;it's very happy. I think a lot of fabrics could look great in this quilt, but I'm not sure any could look better than the owls and squirrels you used they are just perfect. Thanks for the giveaway. I love this quilt and with four babies due before Christmas (not mine) I think this would be perfect. I have some sock monkey fabric which would look amazing and any of Saffron Craig's fabric would be great too. What a perfect name for the quilt. I love them. 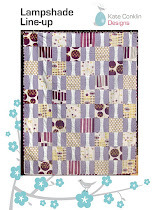 I think there are so many wonderful novelty fabrics out right now and they would be great for this quilt. I especially love the animals. Oh it would have to be the owls! Love them for a baby's room and quilt. The one with the owls will look good on a baby quilt. They are just lovely and cute. Thanks for the chance. I've always heard that black and white is good in baby mobiles, or anything very stark and vibrant for infants to see - thanks for the chance! I love this quilt design - I just added it to my Pinterest board so I could find it again later! I think I would cut into some old Echino prints I have to go for a vibrant look. Or do something up in a soft lime green, orange, and a light gray. My first thought was Halloween. lol Actually some red, white, and black would be be great for a baby. Those colors are supposed to stimulate a baby's mind. Love the quilt. I like the boys (owls) version best. I have some fabric that has squates of baby animals that would look very cute in this pattern. Don't have any idea who or where it came from. Thanks for the chance to win. I collected owls years ago and still am drawn to them. I think Urban Zoologie or Timeless Treasure Blue or Orange Trucks would look great in a baby mobile. Thanks for the giveaway! i love these quilts, and your hand quilting is divine. i think the little apples line from moda would be lovely, esp. the prints with the kids and turtles. 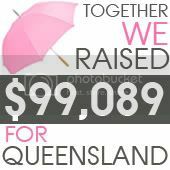 You really stuck a chord with the pink and grey! ...And birds too, my favorite. I love it all,great designing. how about some soft textured fabrics in the boxes for a touchy feely quality, a stimulation opportunity for young fingers coupled with the lovely prints and colours? I think Storybook would be great with your pattern. Both quilts are adorable. Thanks for the chance to win. Besides Saffron Craig's fabrics which I love and cannot find locally, I think that Aneela H's Little Apples would look great in this pattern as well as Laurie W's (pooches and pickups maybe). Elephants of some type might look good too. Bright colors regardless of baby's gender is what would like! Thanks, great quilt design. Your quilts are gorgeous and I love your fabric choices. I think it would be fun to make this quilt in Dr. Seuss fabrics. i think lotta jansdotter's new line would be really pretty! thanks for the giveaway=beautiful stuff! I think my vote would go for some castle peeps! Both versions of your quilt look stunning. I would actually hand embroider some nursery themes in the blocks, so I guess the material I choose wouldn't really come into consideration. 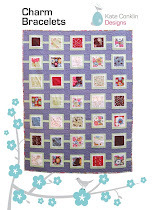 Congrats on your quilt being in Homespun. I would like to see Sunkissed. Or for a huge burst of color, Sugar & Spice. I love Umbrella Prints new fabrics - those elephants would be very cute! I think Children At Play would be choice of line. But otherwise I would just mix and match my favorites. I love gray and pink together, so I would love to do that color combo and incorporate different fabric lines. Such a great quilt design. I have loved your baby mobile quilt since i saw it in the quilting magazine and bought the same magazine to make one of my own. 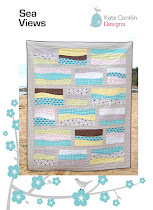 I am loving boy prints at the moment and think Coastal Breeze would make a great baby mobile quilt. I think Heather Ross's fabric would look great! Would make a great quilt for my son to be grandson/daughter! Mom loves owls! I love the owl fabric, I think any animals would look great in a quilt. I LOVE this pattern, and I'm lucky enough to have this magazine! I think the Dawaibo tip top ellies would looks great! As I look through different blogs, I have been drawn to Who's In the Forest. That would be cute in this pattern. Thank you for the chance to win. your quilts turned out AMAZING! and I just love you quilt pattern. Those boy fabrics are just gorg. you did a great job. I think storyboek would be really cute! Your hubby has a great eye, love the little pop of red (shhh, don't tell him). I love this quilt, I'd love to make one. I think Sarah Jane Children at play would work well. I love the boy version of your Baby Mobile quilt. The fabric is unique, unexpected and fabulous! I look forward to making this quilt. I love colour contrast of deep and pale colours for quilts, but probably could't pick anything as good as your selections! Good on hubby for the design tip with the owls, nat! Oh that's so cute! Where do you come up with this?Wow what a great site, glad I saw this it was so helpful. Have you read about http://www.diybabymobile.com, another great website! Keep up the good work! "Through the Trees" in Canada!